With the new year upon us, what better way to kick it off than off road racing? 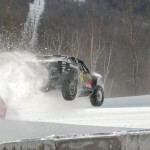 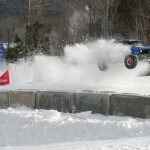 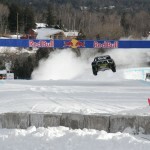 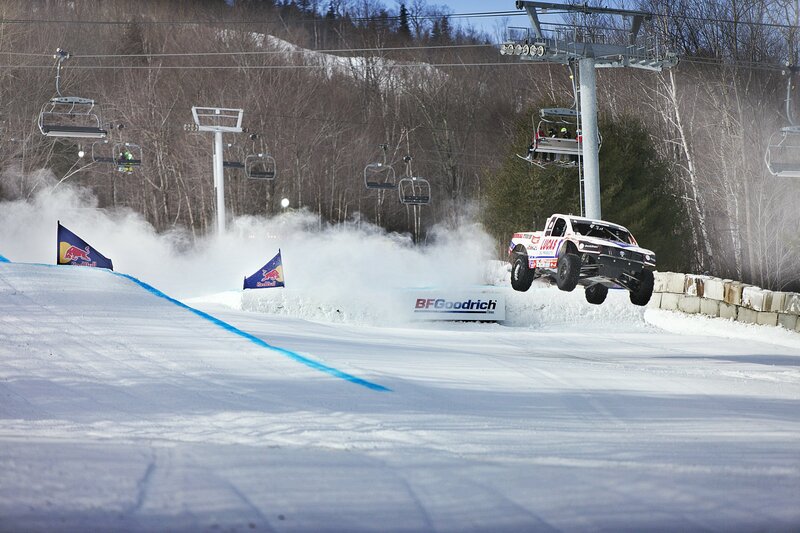 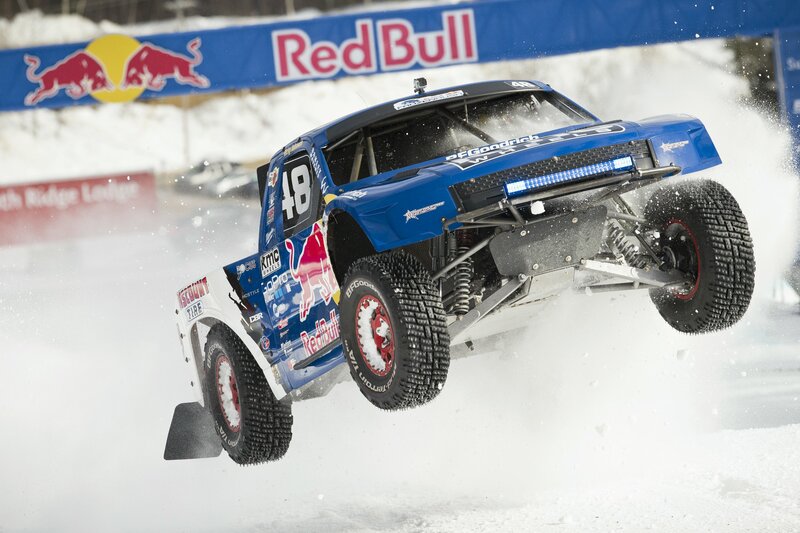 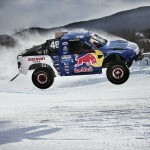 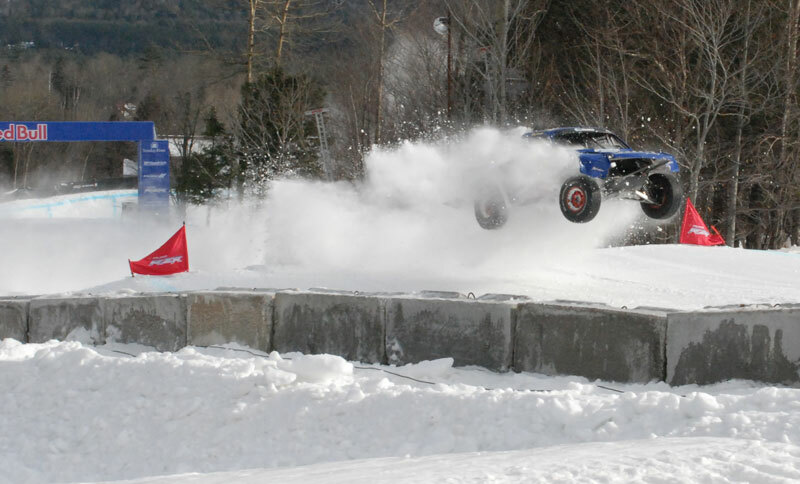 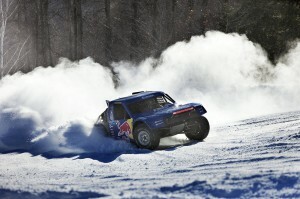 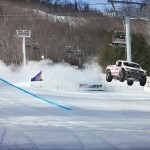 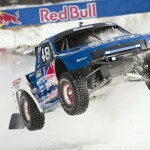 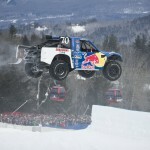 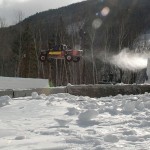 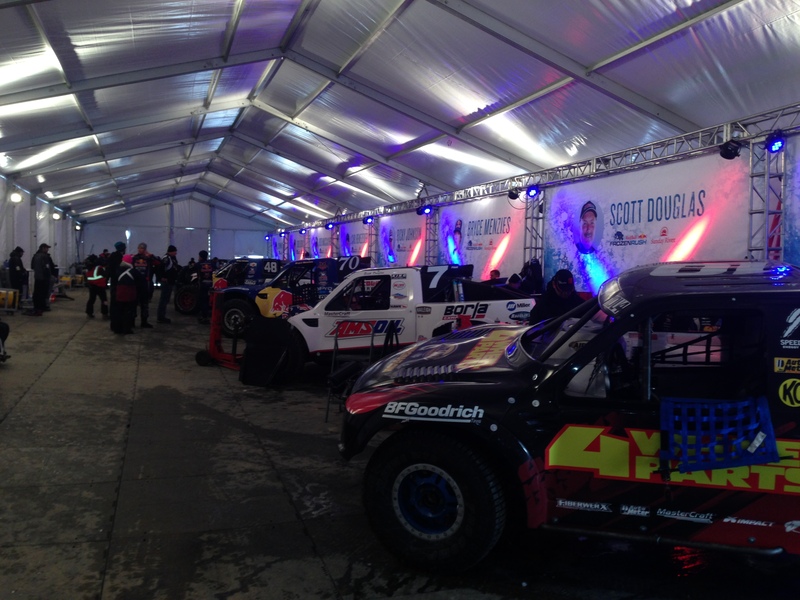 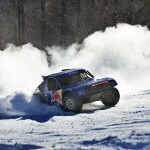 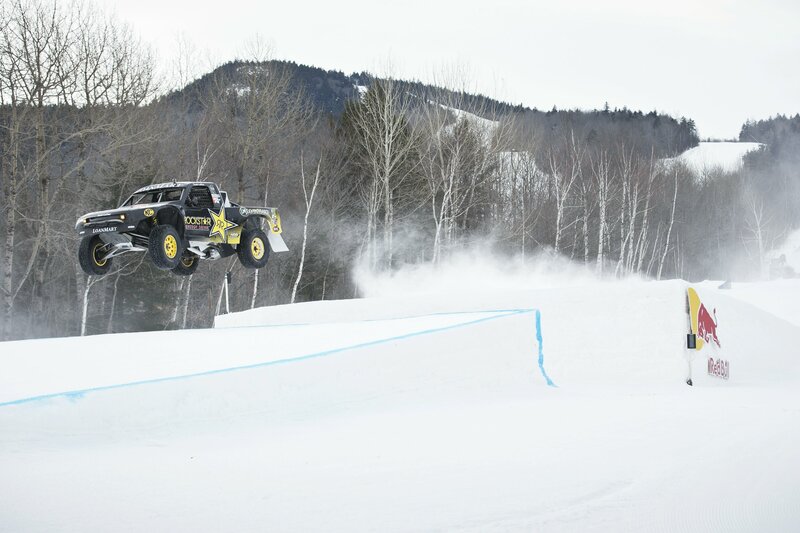 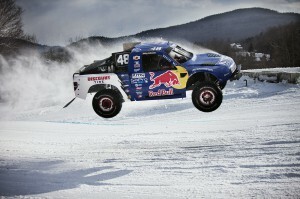 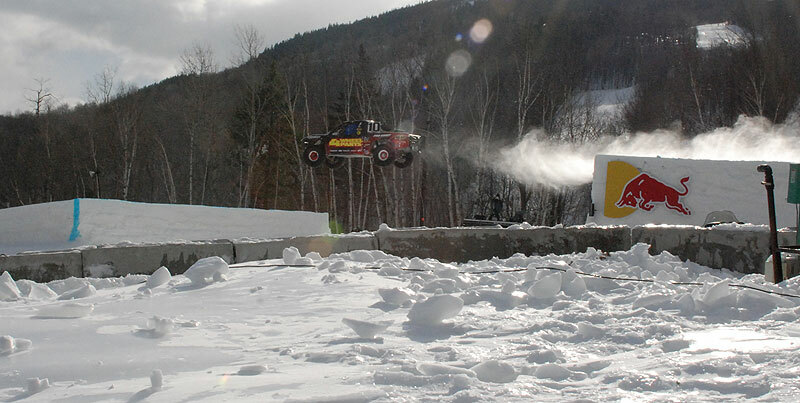 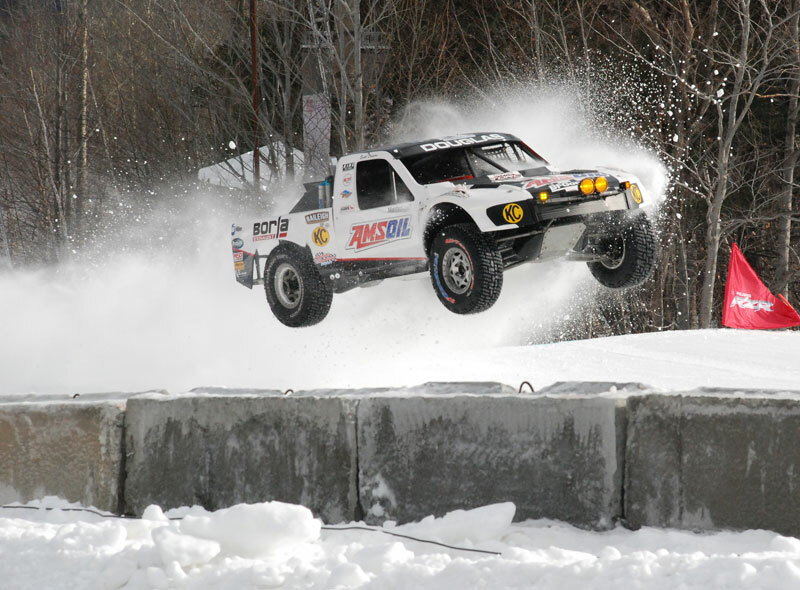 How about 900 horsepower four wheel drive trucks with spiked tires racing on the ski slopes of Sunday River Resort? 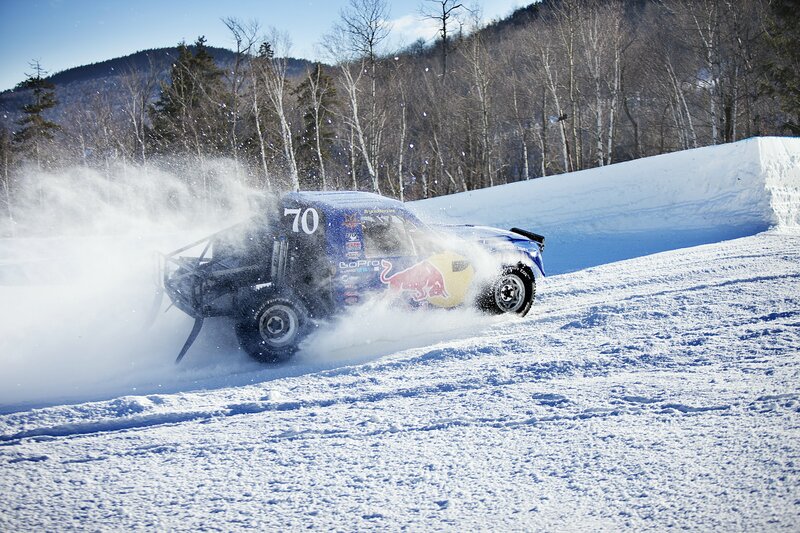 Well that’s exactly what the Red Bull Frozen Rush is! 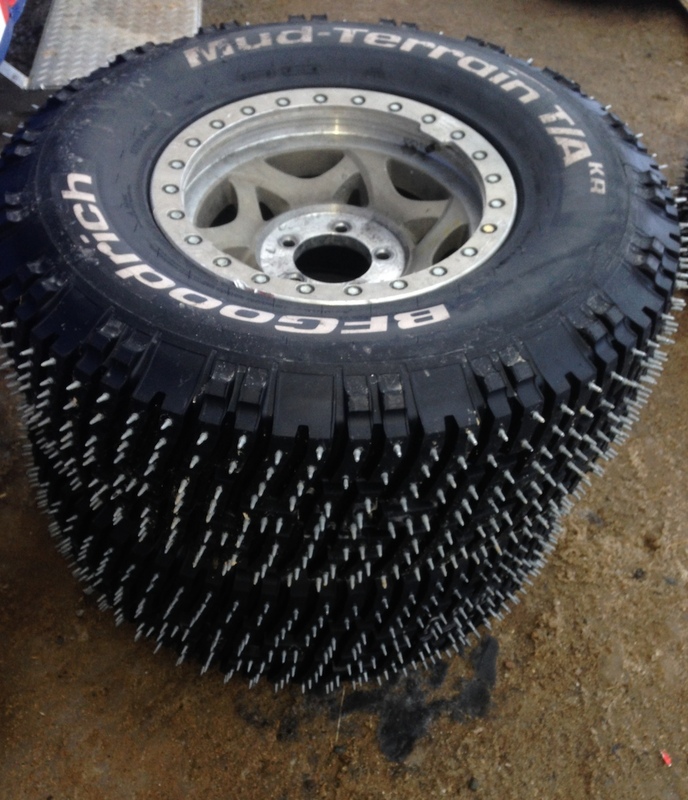 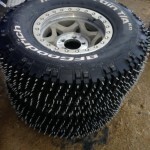 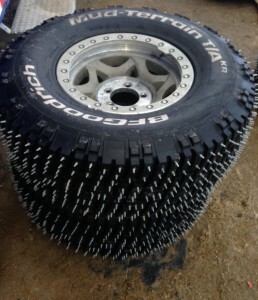 Hundreds of spikes give these BFGs the traction they need in the snow and ice. 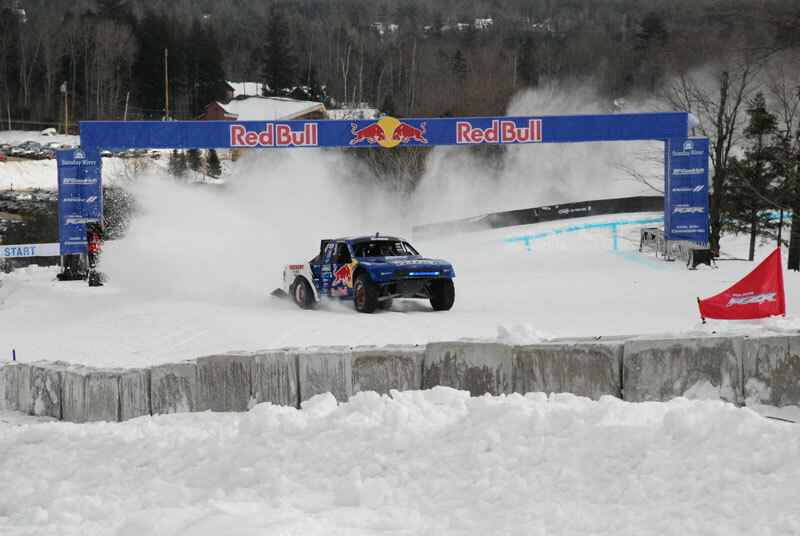 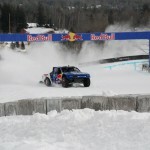 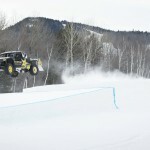 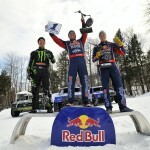 An idea that was conceptualized by a group of Pro4 short course drivers, Red Bull and the good folks at BF Goodrich tires, the Red Bull Frozen Rush debuted its first race in Newry, Maine, at the Sunday River Resort. 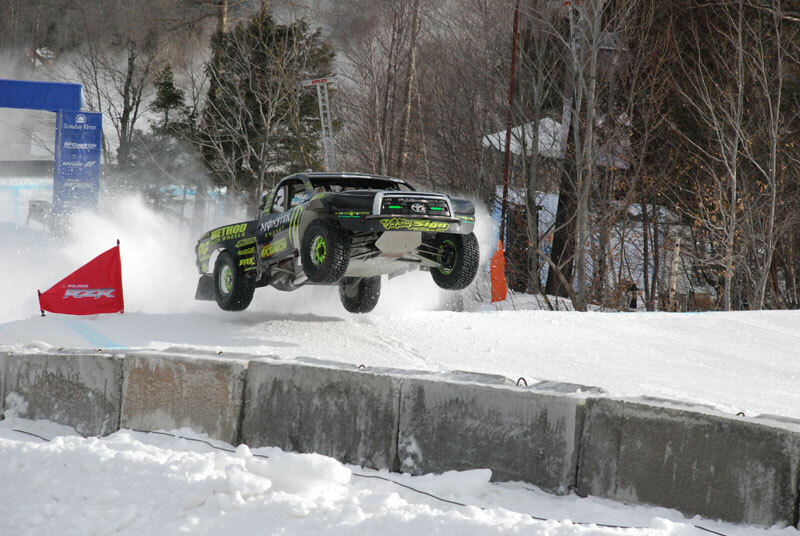 The biggest names in the sport were here to put on a show in the frigid temperatures of the far Northeast. 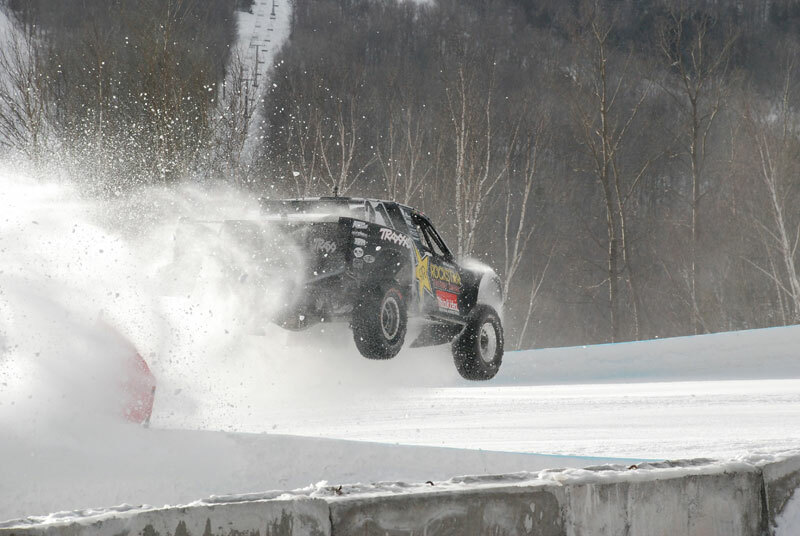 After some practice laps and learning the differences in driving in the snow vs. dirt, it was decided to stagger the starts of each driver due to the massive blinding roosts that the BFGoodrich spiked tires would throw. 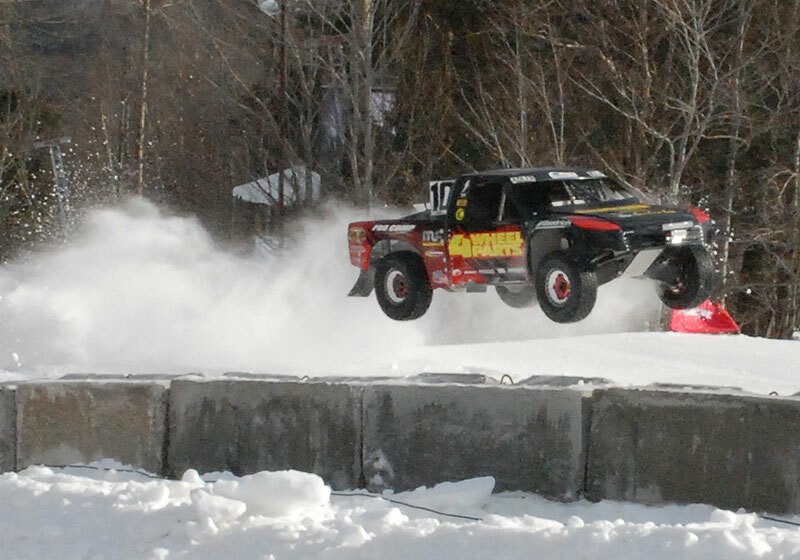 Sure side-by-side starts would be more entertaining, but the safety factor brought everyone back to reality and the staggered starts still provided plenty of action for the estimated 5,000 fans in attendance. 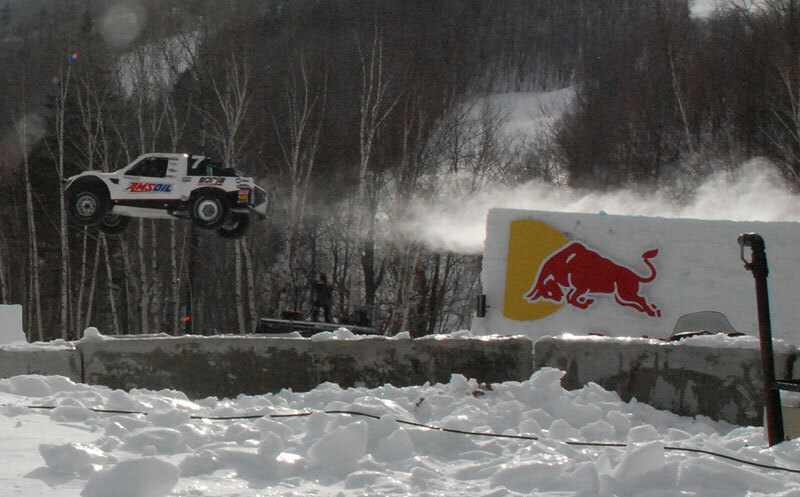 When the green flag(s) dropped, the action was certainly intense. 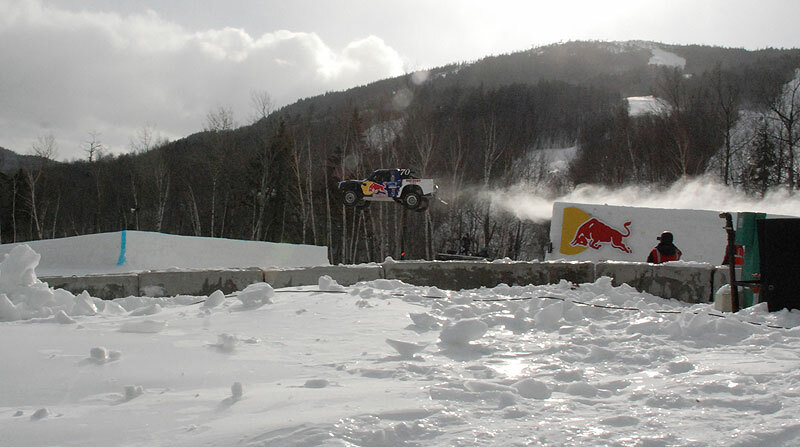 From watching qualifying the day before I was pretty confident that Rob Mac was going to take the gold. 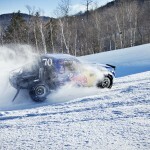 However Ricky Johnson, Johnny Greaves and Bryce Menzies had plans of their own. 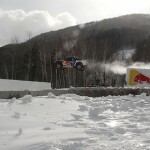 MacCachren just couldn’t seem to stay consistent enough to make it to the main and would have to settle for a battle for 3rd place with Bryce Menzies. 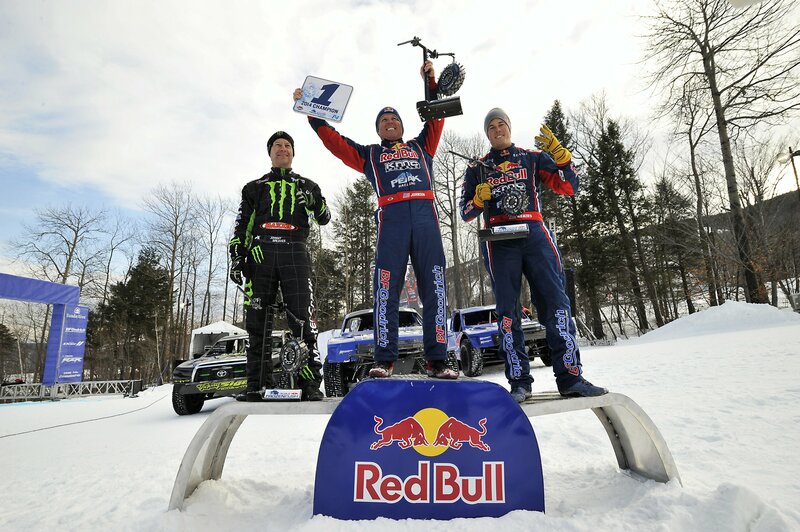 Bryce had a solid run in his final race and edged out MacCachren for 3rd place while Rob Mac would have to settle for a disappointing 4th place. 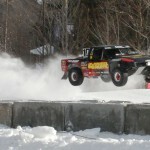 The race for the gold came as no surprise to anyone who follows short course racing. 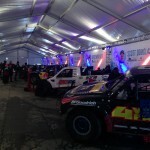 Two of the biggest rivals in the sport would be battling it out once again in the four lap finale. 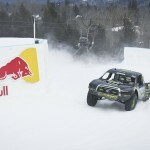 Red Bull’s Ricky Johnson against Monster Energy’s Johnny Greaves both gave it 110% in a battle royale that would come down to just a second. 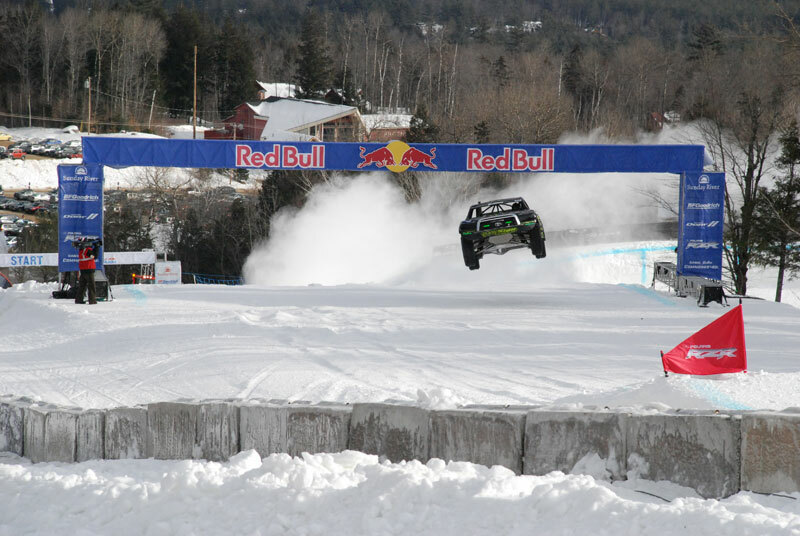 In fact the judges had to review the action on video to see which driver hit the least gates thus receiving the least time penalties. 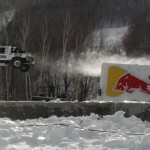 After careful review it was determined that Ricky Johnson would be victorious and crowned the 2014 Red Bull Frozen Rush champ. 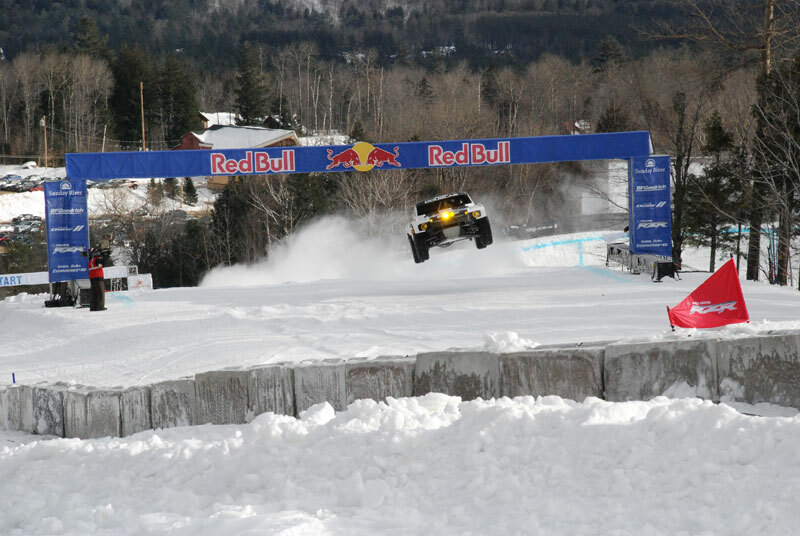 I’ve been to many different types of off road racing in my day, and the Red Bull Frozen Rush was definitely in a league of it’s own. 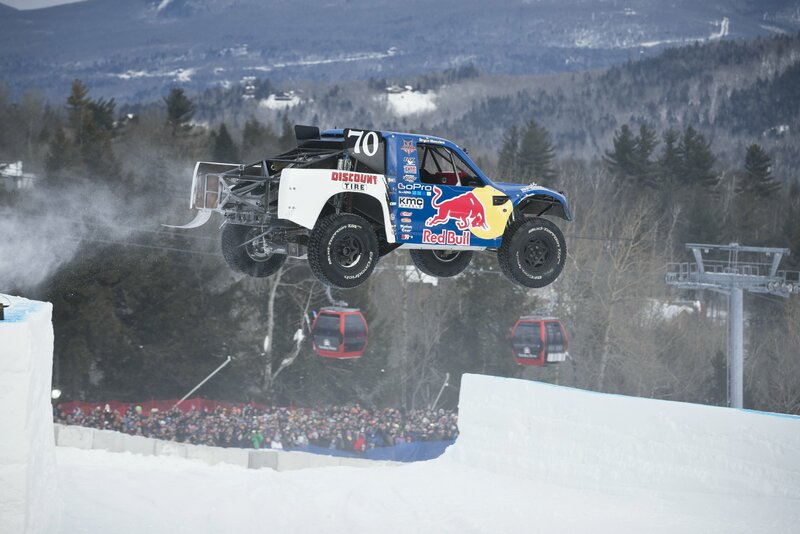 It has the potential to be a stand alone series with plenty of venues across the country should Red Bull decide to do so. 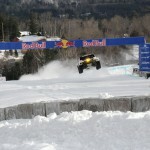 While the action was great in person, I think it will be better on TV. 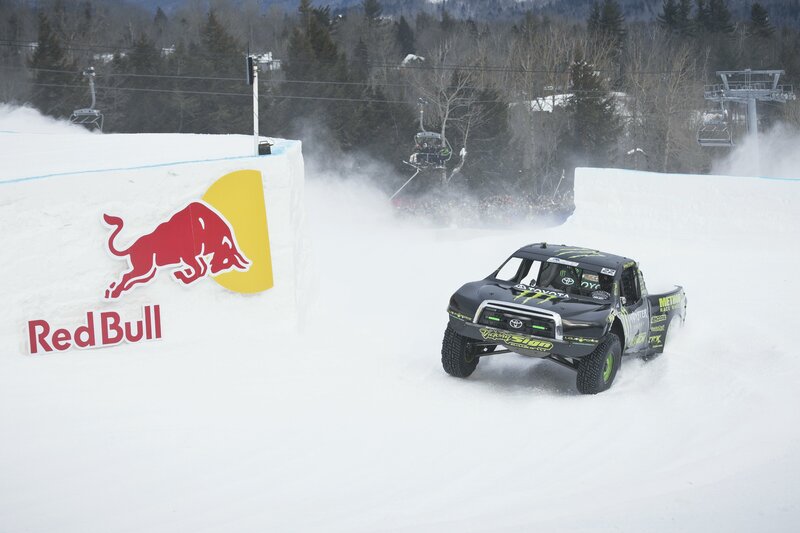 The race will be televised on NBC right before the Superbowl on the Red Bull Signature Series broadcast February 2, at 3:00PM ET.